Is Australian chef Mark Best justified in charging for tap water at Marque Restaurant, his restaurant in Syndey, Australia? 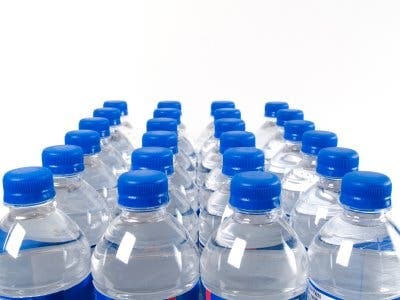 Best stopped selling “boutique bottled water” and instead offered customers treated tap water for about half the price of the bottled water he previously sold, according to a Reuters article. He did so because he considers these bottled waters to be wasteful and wanted to provide an eco-friendly alternative. Best installed a water filter system that filters, chills and carbonates the Marque Restaurant‘s tap water. And while he could have raised his pricing across his menu to make up the cost, he wanted everyone to know they were being charged for tap water. He charges the equivalent of $5.31 in US dollars for all the tap water a patron cares to drink. The 500 ml bottles of boutique bottled water that he sold in the past cost twice that much. “I’m not highly political but I want to make people aware and this is just one initiative,” Best said. While many patrons were unhappy about it, charging for tap water is not illegal if it has been treated — and Best’s $6,000 Italian-made water filtration system certainly does that. If Best’s main goal in charging for tap water was to make a statement and “raise awareness of the need for restaurants to be socially responsible and reduce plastic waste,” we would say he succeeded. What do you think: is Best justified in charging for tap water or not?